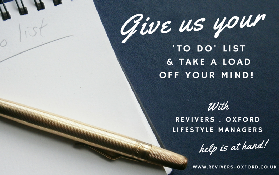 We can help you with almost any request giving you back the luxury of enjoying family, leisure or even just you time! Our home & lifestyle management service is flexible and can be tailor-made to suit your specific requirements. Whether you require a helping hand as a one-off arrangement or on an ongoing basis, we can be of assistance. Business services are also available for a more cost effective and flexible alternative to employing staff. All our clients' requests are carried out within a pre-agreed timescale and are undertaken in a friendly, efficient, discreet and reliable manner. We can work virtually, or on-site in your home or office. There are no membership fees; jobs are charged at a pre-agreed hourly rate and there are no hidden costs. Just contact us with your request/s and we will take charge.